Hurricane Florence caused havoc and devastation across parts of North and South Carolina. It brought wind, storm surge, and a lot of rainfall to areas that did not need it. During major events like these, people are quick to point out any records that might have broken. While this can be newsworthy information, it’s important to remember all data are provisional, and subject to verification. On the day Florence made landfall, there was speculation a rain gauge had already dumped 30 inches of rain. Some experts were weary of the record, because it was recently deployed for the storm, and there was potential water filling into the gauge from storm surge, and not from actual rainfall. Yet the rumors spread quickly, and it became hard to refute the information. This is why it’s important to always look back and check, double check, and even triple check numbers are valid, even if it means it can’t be verified until after the storm passes. In fact, there’s a State Climate Extremes Committee tasked with verifying state records. They have an extensive set of criteria, and in some cases, can take years to verify. Another group of experts at the Weather Prediction Center have been tracking rainfall from tropical cyclones, and have developed a database noting which system generated the most rainfall for each state. Source: Weather Prediction Center. Data up to time of writing (September 18th, 2018). The weather data nerd in me figured it would be interesting to verify these numbers. For North Carolina, it was easy. The record occurred at a COOP station in Southport, NC. 5.76” of rain was recorded on September 15th, 1999, and 18.30” on the 16th, the most that station recorded ever in 1 day. Accumulated rainfall for COOP station (ID# 318113) in Southport, North Carolina. The wettest year on record occurred in 1999 (dark blue line), and effects of Hurricane Floyd can be seen in September. Note this station has not reported since 2016, so there is no data for the current year of 2018. For South Carolina, things got a little trickier. The record stated 18.51” of rainfall occurred in Antreville, SC in August 1995, due to Tropical Storm Jerry. Looking at the online databases, it was noted 4.87” of rain had fallen in the entire month. Cooperative Observer paper form for Antreville, SC in August 1995. Source: NOAAs National Centers for Environmental Information. So we have verified the original paper record matches what’s in our daily database: 4.01” during Tropical Storm Jerry (August 25th - 27th), and a total of 4.87” for the month. There appears to be an observer comment from the 27th, noting the tube was full (overflow can happen), however this does not confirm 18.51” fell during the event. Now what? More digging is needed. Well each month, a statewide climatological data report is drafted and sent to the National Centers for Environmental Information to document and archive. Looking at the South Carolina report for August 1995, it is noted in there Antreville recorded 17” of rain on the 27th (not 2.5”) bringing the storm total to 18.51” and a monthly total of 19.37”. Problem solved! 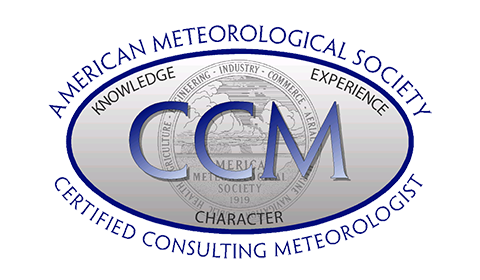 Databases maintained by the National Centers for Environmental Information and the Regional Climate Centers have the August 27th value at 2.5”. The original COOP paper record also has the value at 2.5”. The monthly climatological report indicates a value of 17”, but is crossed off at the SC climate office. But, this was enough information to convince the Weather Prediction Center to remove the 18.51” record for SC, and replace it with 17.45” from Tropical Storm Beryl in 1994, which we were able to confirm using both the online databases and paper record. Of course, all of this is now moot, since Florence is set to smash all of these records…pending an in depth investigation much like this one. Newer PostFall into ... Summer?